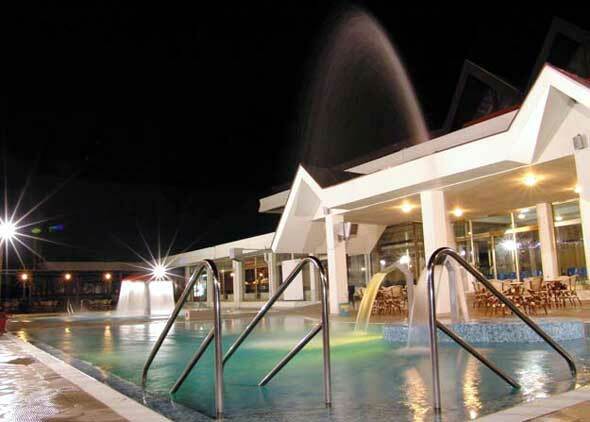 Ribarska Spa, the health and climatic resort, is located at the north slopes of Mt. Jastrebac (1491 m), at the altitude of 540 m, in the valley of the River Ribarska. 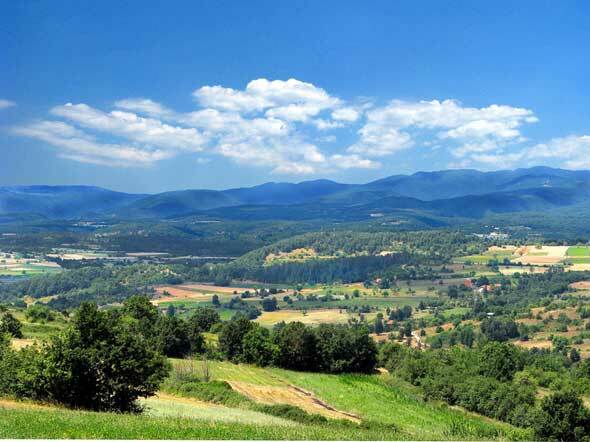 It occupies the central position in Serbia, 34 km away from Krusevac, 290 km from Belgrade and 100 km from Nis. Ribarska Spa has got six springs of sulphureous and mildly alkaline silicic water (38° – 42° C), and one spring of cold water (16° C), and one spring of luke warm sulphureous water (28.1° C). The Ribarska Spa water is medically used by bathing, drinking and rinsing. 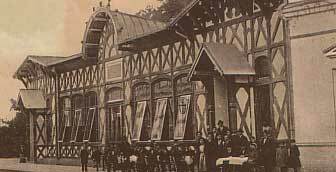 The first analyses of the water were made in Vienna in 1834, but the Spa attracted greater attention only after 1852 when it was visited by Prince Aleksandar Karadjordjevic. 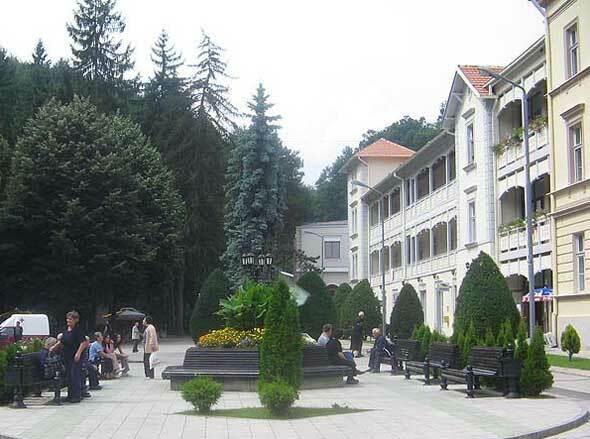 (Since 1847, the Spa had had a seasonal doctor in June and July – with Ljubomir Radivojevic, the physician of the Krusevac region as its first doctor, while the first resident doctor was appointed in 1854). Still, the Spa had a seasonal character prior to the Second World War. For more than two decades after that war, it was used just for recuperation and rehabilitation of patients with lungs diseases. 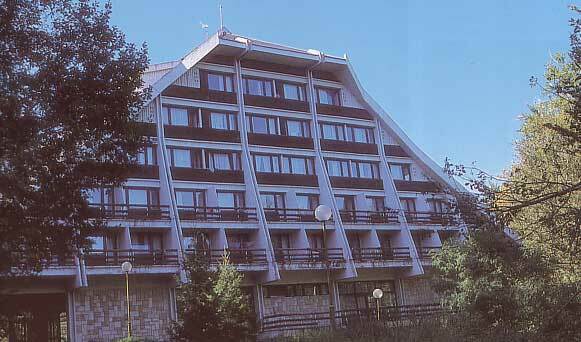 Only in 1967 was the Division for Physical Medicine opened, which, in time grew into the “Ribarska Banja Institute for Healing and Rehabilitation of patients with orthopedic, osteo-articular and degenerative diseases”. This Special Institute – the promoter of medical services in the Spa – has got several indoor pools filled with natural thermo-mineral water (39° C) – one of them of semi-olympic size – as well as the up-to-date facilities for kinesis, electric, medicament, thermal and work therapies and ultra sound application. Patients are taken care of by a team of medical specialist, physio-therapists, nurses and other medical staff. Ribarska Spa is situated within wooded hills, in a small gorge, so that it is well protected from winds and abrupt temperature changes. The vast forests around the Spa, its altitude and location, provide for clean and fresh air throughout the year, which makes the sojourn there more comfortable. and to medieval monasteries around Krusevac – Naupara (14th century) and Veluce (14th) and those around Djunis (22 km)- St. Roman (10th) and Pokrov Presvetle Bogorodice (the Shroud of the Most Holy Mother) (19th). Patients and other guests can find accommodation in the buildings of the Special Institute – the Dispensary and Pogled Hotel (B-category – 590 beds in comfortable beds), villas-hotels and in private houses.